Coates & Seely were delighted to be chosen to supply the sparkling wine at the opening of the new Pavilion at kensington Palace. Designed to accommodate a variety of events during the restoration works currently underway at the Orangery, the Pavilon provides an elegant, sophisticated and flexible new entertaining space and is situated between the georgian splendour of the Orangery and the exquisite gardens surrounding git. Many of London’s leading events managers and party-planners were out in force to experience the magic and sophistication of the new space. 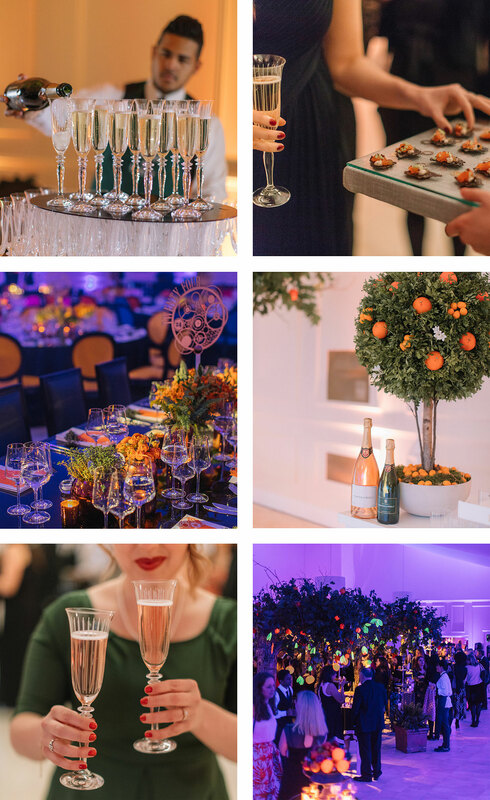 Mouth-watering canapes, supplied by Word of Mouth and washed down by Coates & Seely sparkling wines, were followed by a sumptuous dinner, whilst the pavilion was be-decked with spectacular flowers by Simon Lycett.